The Miculla Archaeological Area in Tacna Promoted as a UFO-Influenced Area. Tour companies promote the area's petroglyphs as part of an "extraterrestrial visitation"
A lack of awareness and general knowledge among some tour companies is Tacna has given rise to confusion in disseminating the area's tourist potential. 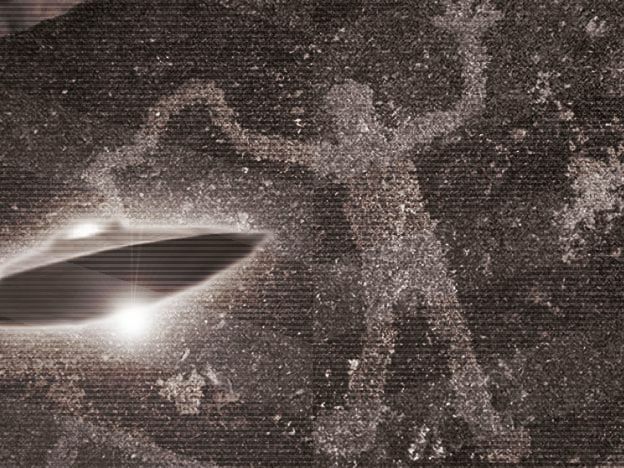 Archaeologist Jesús Gordillo Begazo cautioned that certain travel agencies are promoting the Miculla Archaeological Area's petroglyphs as part of an extraterrestrial visitation. "Miculla's cultural and archaeological narrative is being distorted, which reprehensible indeed." The expert stated that an agency was responsible for the error in disseminating the information, which was swiftly spread across social media. "I suspect that this is what appears in their brochure, or it could be a tour guide's own interpretation. The fact is that all tour guides must employ a text about Miculla that has been approved by the Dirección Desconcentrada de Cultura (Decentralized Cultural Office) and Directur," he added. David Rendon Cohaila, president of the Regional Chamber of Tourism (Caretur) believes that some parties are swindling tourist groups visiting Tacna with the unfounded notion that Miculla is a hot spot for sightings. "Some unscrupulous parties promote it as a UFO area. That's a swindle. There is no scientific evidence to suggest it," he explained. The fact is that both Rendon and Gordillo agreed that "it is necessary for Tacna's tour operators to train their tour guides." "What is being disseminated is truly irresponsible, since they hire youngsters who are still in school in order to pay them little. They're not even in their third year of Travel and Tourism and they're sent to the field," complains Rendon.